You are at:Home»Business»What Are the Best Business Phone Line Options? What Are the Best Business Phone Line Options? Often as a business owner, you are faced with the important question of which is the best phone line option for your business. In this article, we will discuss some of the options of phone systems available for your business and the pros and cons of each. While hosted PBX phone systems have their definite advantages, especially for startups and small- and medium-sized businesses, the sustainability of these hosted services may be shaky in the long run and as the business starts growing, the benefits of these services may decrease. While hosted PBX bring significant cost savings in terms of the communications, you must consider future implications too. The ideal phone system for SMBs is one that is future focused and will pay off over time. A hosted PBX system is extremely simple and easy to use. Just like you would with your regular phone company, you need to pay a monthly fee to the service provider who will handle the phone routing and switching and also end-user support whenever required. The changeover to the hosted PBX system is extremely easy and quick and there is no need for any knowledge and expertise needed at your end. The changeover is usually seamless and you will gain several productivity tools. There are very few upfront costs in the case of a hosted PBX phone system and if your existing phone system is relatively new, then it may support VoIP. While you may require to get some switching and routing equipment, nevertheless, the overall investment in hardware for a hosted PBX will be much lower. Hosted PBX offers your business an effective and affordable solution for all your telecommunication requirements. You are usually bound to the hardware and the software partners that are used by the host, which means that you are locked to whatever upgrades they offer. If you want to switch to another service provider, you need to replace all the hardware bought for the particular host service. You are dependent on your host for technical service and upgrades and if they don’t offer a quick service, it can cause bottlenecks. If the service of the host goes down, so does yours. However, today, hosted services offer uptime guarantee, nevertheless, it adds to the process which is beyond your control and makes you vulnerable. 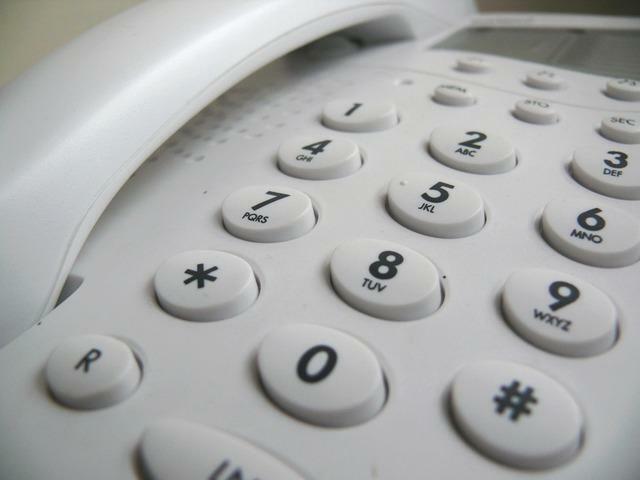 Landline phones are a time-tested solution and are more reliable means of communication. They are easy to maintain, stable and can function even in the case of problems with your internet connectivity or power outages that can affect the VoIP services. Landlines work on a purpose-built network, which ensures close to 100% uptime, excellent call quality, capability to scale up and sustain large traffic volumes and secure and private connections. Since VoIP was designed to work on a data network, it may not be able to match the conventional landlines in the above areas. The main drawback of landline phone systems is that the technology is obsolete and there are no enhancements or developments planned. In fact, the plans are to phase landlines out completely. Now the parts are easy to find; however, as the technology is replaced, they will become rare and repairs will become a challenge. On the other hand, VoIP services offer technical improvements and enhancements continually and the service provider is responsible for all repairs and maintenance of the system. Also, VoIP services include various features such as call transfer, call queuing, intercom, phone directories, etc. that require expensive PBX hardware in a landline phone system. Also, you need a professional technician to install the system and maintain it, which adds to the cost and this makes VoIP a more cost-effective and affordable solution. And, today, the pervasiveness of high-speed internet connectivity is also reducing the advantage gap offered by landline technology. Newer technologies are more flexible, secure and cost efficient. And, movement from one place to another is completely seamless, which is not possible with a landline. When you’re using your personal phone to run your business, then you don’t want your personal and professional contacts to get all mixed up. This is where call forwarding is helpful. You can keep your personal information private and secure by using another number to route your calls. A good call forwarding service allows you to choose a number that is right for your requirements. If you are a national or online business, you could opt for a toll-free number; while if your business is more local, then it would be better to get a number with a recognizable area code. Grasshopper is a virtual phone service which allows you to run your business just using your mobile phone and does not require setting up any complicated phone systems. Grasshopper is extremely easy to set up and work with. Grasshopper allows you to retain your existing phone number or you can also get a new local or toll-free number if required. It also allows you to choose your own area code. You can get multiple extensions for each employee and it also has the facility to forward calls to mobile phones, which enable you to manage your entire business via your cell phone. It also allows you to create customized menus. Grasshopper offers the feature that transcribes your voicemail and also allows you to send text messages to your customers directly from your business number. Each person on the team has a call forwarding facility and can receive calls even when they are not in the office. And, no matter which phone you call your customer from, the inbuilt caller ID allows you to display your business number to the customer. All of the Grasshopper’s plans offer features like unlimited minutes, auto attendant, voicemail to mail and extensions for call forwarding. Phone.com is a virtual phone service whose web interface lets you control all aspects of your plan online, which includes adding phone numbers and extensions, caller ID access, recording and cataloging calls for training, reference and legal purposes. Phone.com allows you to route your calls and the professional and custom menus help to guide your customers to the proper departments very quickly. The callers can dial either by extensions or names in order to reach the right department or person and the person they reach can transfer them to another person or department in-call. The comprehensive scheduling allows you to control the traffic and you can set the calls to be sent to different people at various times. This feature is especially beneficial for international companies. You can also have different menus, greetings, extensions at different days or times as required. You also have the option of routing certain calls to your mobile phone, while other calls only at your desk. Phone.com supports videoconferencing and the company offers 24×7 support to fix any issues you may face. The Pay-Per-Minute Plans include monthly minutes, user extensions, local and toll-free numbers, SMS messages and other standard features such as call queuing, voicemail to email, hold music, call analytics, video conferencing, etc. depending on the pricing plan. The Unlimited Plans include unlimited monthly minutes and user extensions, SMS messages, local or toll-free numbers, call forwarding, hold music, video conferencing, call analytics, etc. depending on the pricing plan. Freedom Voice is a very cost-effective virtual phone service suitable for small businesses. The sign-up process is extremely easy and quick and the service allows you to choose a local or a toll-free number free of cost. On paying a one-time activation fee, you can also get a vanity number. Freedom Voice offers a virtual attendant who will answer all your calls and can guide your customers to the right department. You have the option of forwarding calls to any phone, even to your personal mobile phone and this is especially beneficial if you need to take a call when you’re not in the office. Freedom Voice offers an app for both iOS and Android devices. Freedom Voice offers a robust web interface and the console allows you to check various reports such as who is calling and from which area, etc. The interface also allows you to receive faxes and send them to clients, customers and other businesses. If you want to convert the regular landline into a convenient and flexible VoIP phone and fax service, which also offers added benefits, then you can use VoIP adapters to do this. VoIP adapters allow connecting your traditional landline telephones to a VoIP service. This allows you to make your business phone calls from your desk phone, computer or via an app on your mobile phone. Since the conventional phones cannot work on digital signals, a VoIP adapter is needed to convert the voice signals to digital signals. You can opt for VoIP adapters that provide features such as speed dialing, conference calling, number storage, etc. Here, we will be discussing some of the best VoIP adapters available on the market. There are several Ooma products available, even an option for businesses; however, Ooma Telo is the latest, the most popular and widely-used product. Ooma Telo is essentially a VoIP device that you connect to your internet and you can make unlimited calls. Ooma Telo offers few hardware upgrades such as USB, Bluetooth and cellular integration, etc. The biggest advantage of Ooma Telo is the low cost, which is a huge plus for those who want a basic phone service. All you need is a good internet connection with a decent speed which will allow you to make and receive calls. You can get the basic service without the need to pay any monthly service fee. The only cost you incur is $99.99 for the device and you can make free calls. However, you may have to pay a nominal fee and taxes now, which is still much lower compared to a regular landline. You can get a phone number along with the device free of charge and you also have the option where Ooma also allows you to port your existing landline number for a fee of $39.95. Apart from calls, Ooma offers other features such as caller id, new phone number (for most area codes), call waiting, answering machine, Ooma app, voicemail, online call logging, free in-network calls internationally (free Ooma-to-Ooma calling). Ooma Telo is compatible with a range of devices, landline phones, routers and modems. The best part is that you need not even connect the Ooma Telo to your computer and just connecting it your internet connection is sufficient. The call quality of Ooma Telo is excellent and the PureVoice™ HD technology delivers crystal clear sound. Overall, Ooma Telo is an excellent option giving you impressive call quality at a very affordable price. The OBi200 is an ATA (analog telephone adapter) for VoIP usage and has been designed for small business and home use. You can simply plug in the OBi device to your existing internet connection and make and receive phone calls free within US and Canada or for just a fraction of the cost of regular phone calls from the comfort of your home. You can make international call to over 150 destinations, long distance and local calls via your Obihai OBi200. The Obi200 is extremely easy to set up using ObiTalk.com and it can also be used to set up a SIP trunking service and supports T.38 fax. The device offers 1 phone port and can support up to 4 SIP accounts and also their OBiTalk service i.e. Obihai-to-Obihai calling. It also offers a USB port and an integrated router. The OBi200 also offers add-ons such as a Bluetooth adapter to link your mobile phone and home phone and a WiFi adapter for wireless devices. The OBi200 is targeted at the users of Google Voice, internet service providers such as Avneo, Power Phone, RingCentral, Callcentric, Localphone, Vestalink, to name a few and BYOD (bring your own device) SIP services. OBi200 is fairly inexpensive and includes several features and settings such as OBi Voice Command, OBiFax, home alarm monitor, custom call blocking, caller ID name and number, nest integration, etc. The best part is that even if you change your service provider, you can continue using the OBi200. Vonage is a home VoIP phone company that provides customers with free or low-cost calling using the internet. The ATA from Vonage is included free of cost along with a per month service plan. 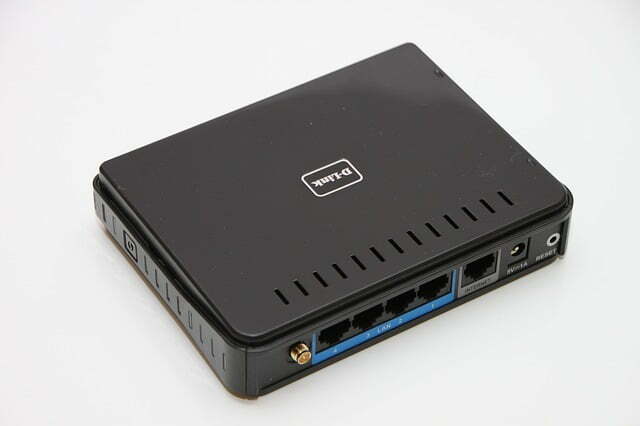 The Vonage VoIP adapter’s basic model is called Vonage Box; however, the Vonage service also supports other ATA models by D-Link, Motorola, Linksys, etc. The Vonage Box does not have to be plugged into your computer. You can simply plug it into the internet router and into the phone. It works anywhere at all, as long as you have an internet connection and the best part is that even if you move, you can take it with you. Vonage box has the facility to connect 2 lines – 2 phones or 1 phone and a fax and there is no need to install any software. You can make use of the Extensions app to make and receive your phone calls via your Android or iOS mobile phone. With Vonage Box, you can get unlimited nationwide calling across the US, Mexico and Canada, get your voicemails (English and Spanish) transcribed and sent as a text message or email, block callers, caller ID, call forwarding, etc. Today, several professionals carry 2 phones, one for business use and one to make personal calls. 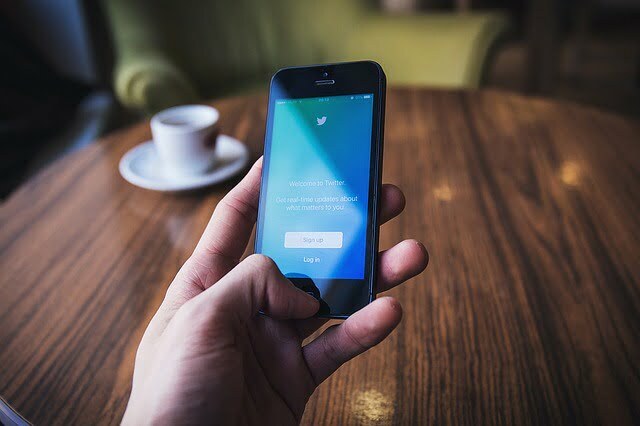 Many organizations promote the concept of BYOD (bring your own device) and some employees make use of the benefits of making use of personal phones for business purposes and this has both pros and cons. You can get reimbursement and can pay off some or all of your monthly phone bills. You can avoid carrying multiple phones and accessories. You can manage both, your personal and professional communication on one device. You will be accessible all the time, even during non-working hours. The security settings of your phone will be subject to the requirements of your employer. Your personal data in your phone may be reviewed by many parties in case of litigations involving your employer. Using your mobile phone for work may be either mandatory or optional; however, it is really up to you to weigh the pros and cons of giving up your mobile phone privacy if you have the option. The choice of the best phone line for a business really depends on the size of the business, the nature of the business and usage. A business must decide on the best option in terms of the best phone system after evaluating the various options and weighing the benefits and drawbacks before making the final decision.